За положительный отзыв о купленном товаре продавец предоставит вам подарочную карту на сумму 16,8181 руб. INSTANTLY after the payment you receive a unique activation link GAMES (KEY) The STEAM! Become a champion in F1 2015. F1 2015 The new engine perfectly recreates the behavior of cars of Formula 1, and the game now looks as broadcast on television. 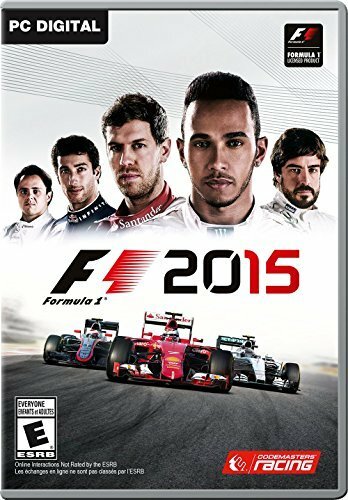 F1 2015 - this is the official game of the 2015 Formula 1 World Championship (FIA), plus all materials from F1 2014. Play for your favorite pilot, participate in the new season in the Championship or Championship among professionals. Hone your skills in free practice online and challenge friends and opponents from all over the world in multiplayer mode. Данный товар распространяется посредством цифровой дистрибуции и не содержит упаковок и коробок. • Enter the activation key (to obtain it is necessary to buy Formula 1 2015 - F1 2015). • After that, the game will appear in the list, and you can download Formula 1 2015 - F1 2015. За положительный отзыв о купленном товаре продавец предоставит вам подарочную карту на сумму 16,8181 руб..